Eco-Friendly Stocking Stuffers for $10 or Less! You can pull off an eco-friendly, yet still affordable Christmas. It helps to think meaningful yet thrifty when it comes to stocking stuffers. Thankfully, there are plenty of sweet stocking stuffer gifts to be had that are not only good for the planet but useful, fun and charming for the lucky recipient. 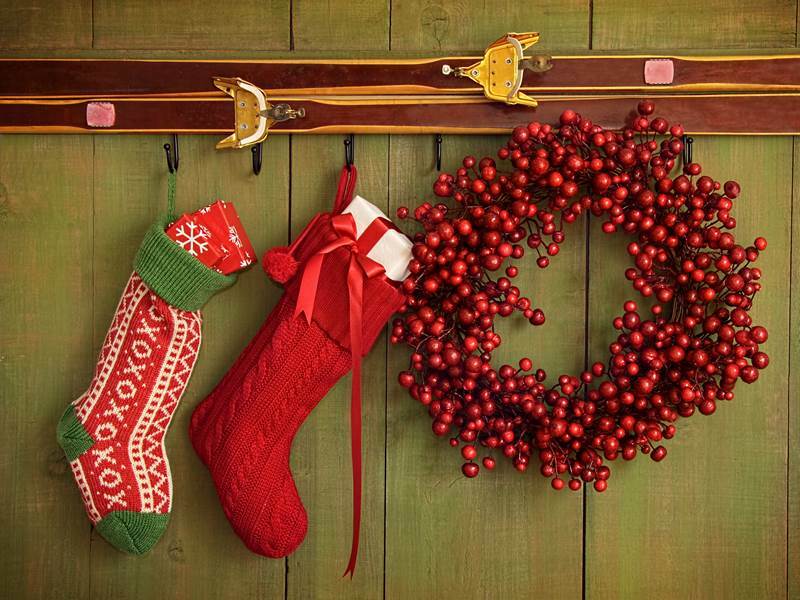 Keep reading to see some of the best eco-friendly stocking stuffers for the whole family. Bonus, each little stocking stuffer is $10 or less a pop! 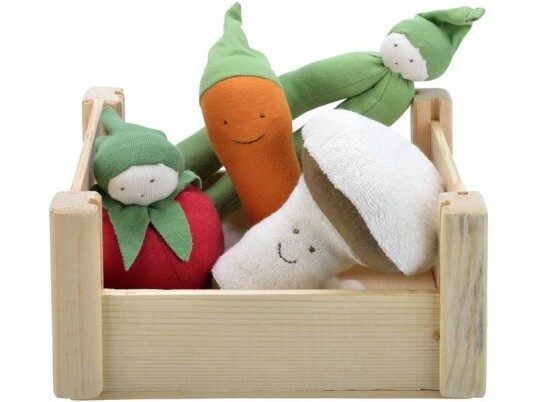 You can score an entire crate of these adorable organic veggies at Under the Nile, but we think the singles at just around $8.00 a pop makes these cute soft toys an excellent affordable stocking stuffer for wee babes. Each little veggie (or fruit) is made and stuffed with the finest 100% organic Egyptian cotton and can be used to love on or even chew on safely. Other Stocking Stuffers for Babies! 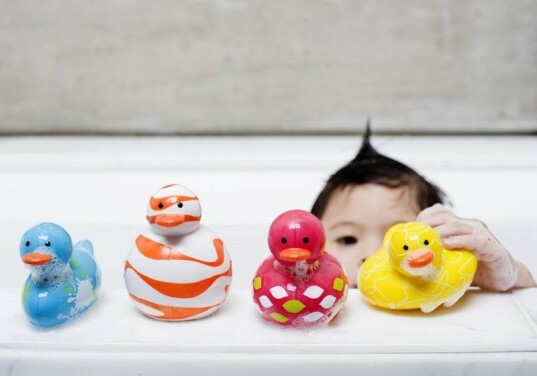 Boon’s Odd Ducks are sweet brightly colored and fun for bath time. Plus these little ducks are BPA-free, Phthalate-free and PVC-free so you can slip them into stockings safely with no worries. Other Stocking Stuffers for Toddlers! 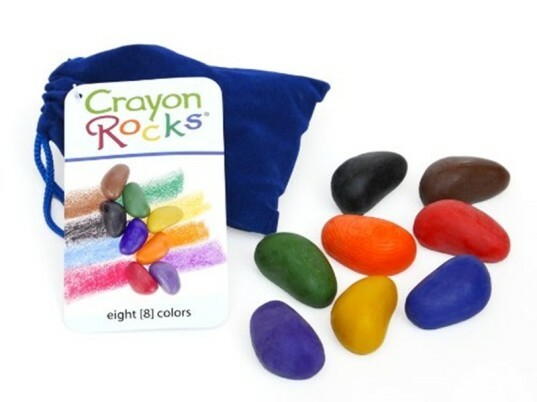 Crayon Rocks are one of the more creative and unique crayon sets you can give to kids — and luckily, these non-toxic, all natural soy wax crayons are stocking-ready, sold in a cute little velvet carrying bag. Other Stocking Stuffers for Younger Elementary School Children! This great paperback is small enough to slip into most stockings, but large on eco-tips for kiddos. 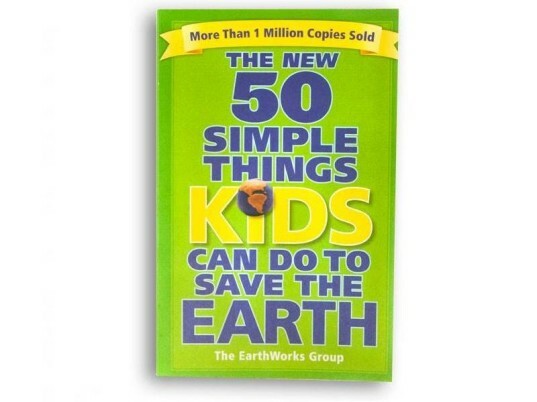 This book can help your child go from aware to active with simple and inspiring eco-projects, tips, and little-known facts about green living written just for kids but not in a dumbed down way at all. Other Stocking Stuffers for Older Elementary School Kids! 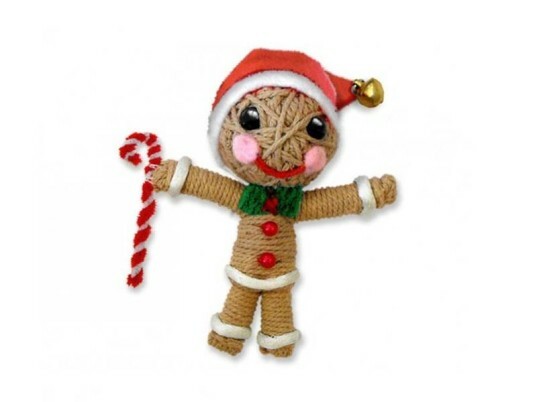 String Dolls are actually a hit with teens and adults and have shown up in many a Christmas stocking at my house. Handmade, Fair Trade and totally cute, there are tons of styles to choose from. From ballerinas to skateboarders to guitar players to sports heroes and much more, there’s a String Doll to suit everyone you know, including your tween or teen. Other Stocking Stuffers for Tweens & Teens! 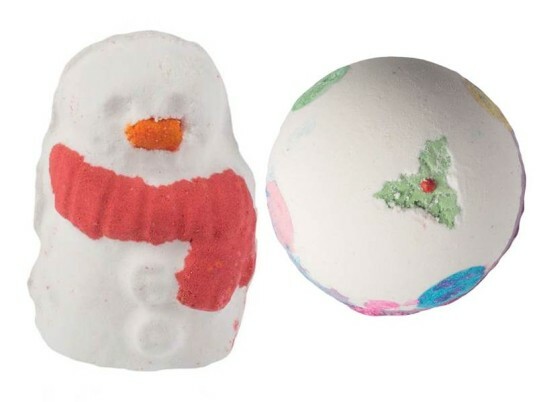 LUSH Bath Bombs are affordable little treats for moms and dads who like to unwind in a bubbly scented tub. LUSH uses natural ingredients and offers vegan choices too, plus minimum packaging to keep it green. With scents for guys and gals, you’re sure to find the perfect relaxing bomb for any overly stressed parent’s stocking. Other Stocking Stuffers for Mom & Dad!